Albertype Company, Picturesque Utica, In Photo-Gravure, From Recent Negatives. Utica, NY: W.A. Semple, 1898. M.M. 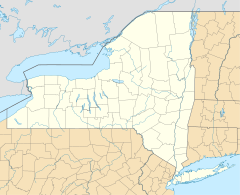 Bagg, Memorial History of Utica, NY: From its Settlement to the Present Time. Syracuse, NY: D. Mason, 1892. Philip A. Bean, La Colonia: Italian Life and Politics in Utica, New York, 1860—1960. Utica, NY: Utica College, Ethnic Heritage Studies Center, 2004. Philip A. Bean, The Urban Colonists: Italian American Identity and Politics in Utica, New York. Syracuse, NY: Syracuse University Press, 2010. Elizabeth Gilman Brown, Outline History of Utica and Vicinity. Utica, NY: L.C. Childs and Son, 1900. Malio J. Cardarelli, Dawn to Dusk in Utica, New York. New Hartford, NY: Marlio J. Cardarelli, 2009. Hamilton Child, Gazetteer and Business Directory of Oneida County. Syracuse, NY: Syracuse Journal, 1869. 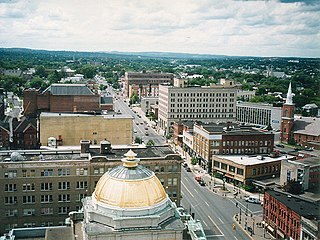 T. Harvey Ferris, Utica: The Heart of the Empire State. Boonville, NY: Willard Press, 1913. Charles N. Gaffney, The Utica City Directory for the Year 1883: With a General and Business Directory of Utica. Utica, NY: Charles N. Gaffney, 1883. Oneida Historical Society, Semi-Centennial of the City of Utica, March 1st, 1882 and First Annual Supper of the Half Century Club, March 2nd, 1882. Utica, NY: Curtiss and Childs, 1882. Madeleine B. Stern, William Williams: Pioneer Printer of Utica, New York, 1787—1850. Charlottesville, VA: Bibliographical Society of the University of Virginia, 1951. John J. Walsh, Vignettes of Old Utica. Utica, NY: Utica Public Library, 1982.